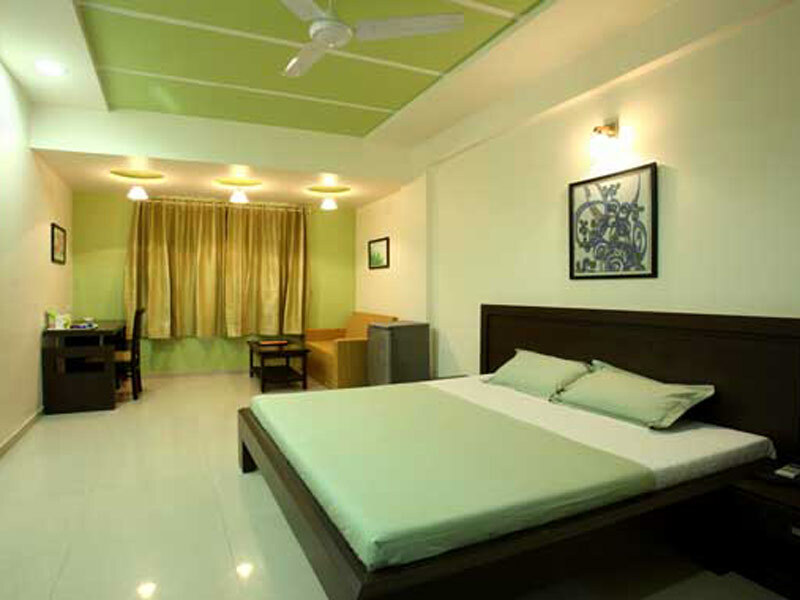 Well decorated, comfortable, Spacious A/C Double Room with modern amenities. DELUXE ROOM Rooms Meticulously Designed Either A King Size Bed Or Twin Beds With The Front View Equipped Will All Modern Amenities And Furnished With Comfortable Pocketed Spring Mattresses Bed & Feather Filled Duvets. EXECUTIVE ROOM These Guests' Rooms Are Contemporary In Design With A King Size Bed Or Twin Beds. The Bathroom Is Minimalistic Yet Spacious With Exquisite Fittings. The Hotel Granville offers spacious rooms with modern look, elegantly designed in business style, They are ideal for the business traveler who wants privacy and to have all the basics well covered Single, Twin Sharing and Double Bed rooms with upscale amenities. All rooms have King Beds, 32" L C D TVs, Wireless Internet access for a daily fee, Mini-Bar (charges apply) and quality bath amenities. Very nice , pleasant and clean hotel in Borivali( W), also having restaurant facility with good quality of food and prompt service. Seen Beautiful view from the window of the top floor. Useful for business purpose with calm and quiet location with the facilities of railway, rikshaw nearby. Pravin in front desk is very helpful. We stayed here for 2 days for a marriage and it was fine. I think that the prices are not worth the hotel rooms though. Prices if Rs.1000/- less will make it totally worth it. Rest is ok. There's hardly any parking space though. The extra star is for the front desk. We have stayed in this hotel couple of times latest being in Jan. 2014. This is a very convenient location - on the main road in Boriwali (West) in Mumbai. Late evening it is a pleasant walk down the road and it is relatively very silent - may be because of plenty of open land nearby. Restaurant attached to the hotel serves good food which we enjoyed in the evening. Breakfast is served in basement; atmosphere of this place is very dull and gloomy; could be better if served in the ground floor in open space. Wi-fi was a problem in both the visits and so is the case with room-key; we always needed assistance from front-office to open the room. Front office staff is very good. Overall good experience. Made a Comfortable Stay and gave ever lasting memories to Mumbai trip.